Special bulk fire agate wholesale group sale. 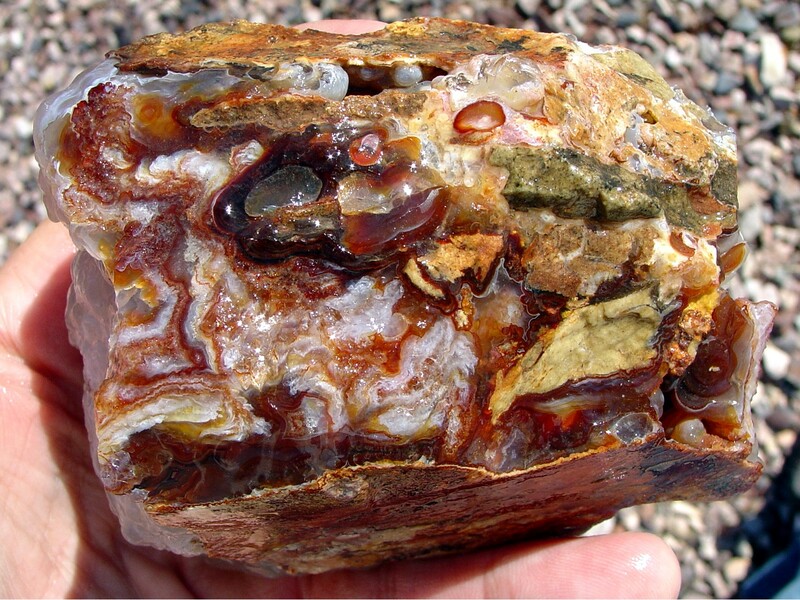 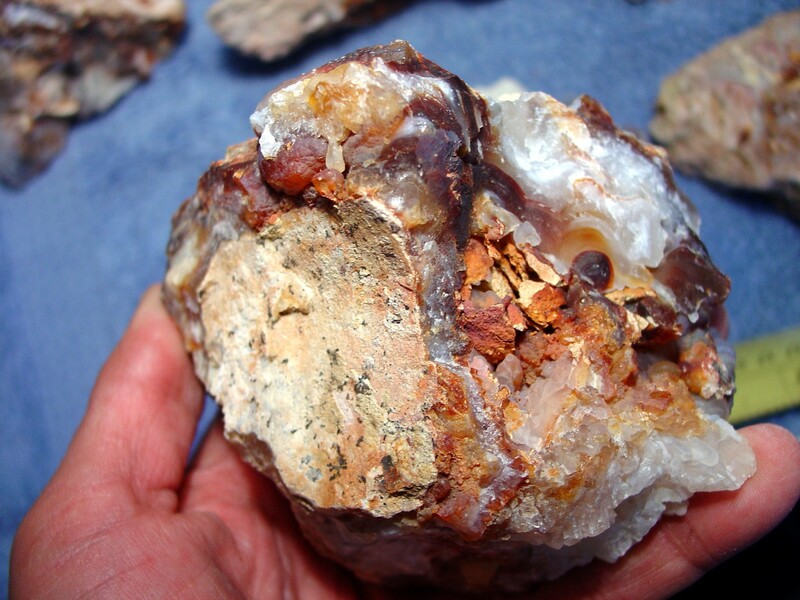 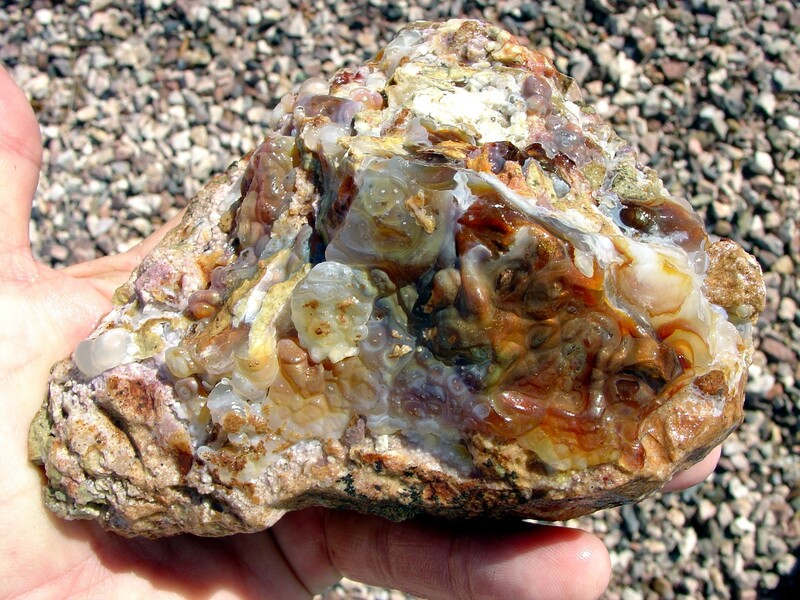 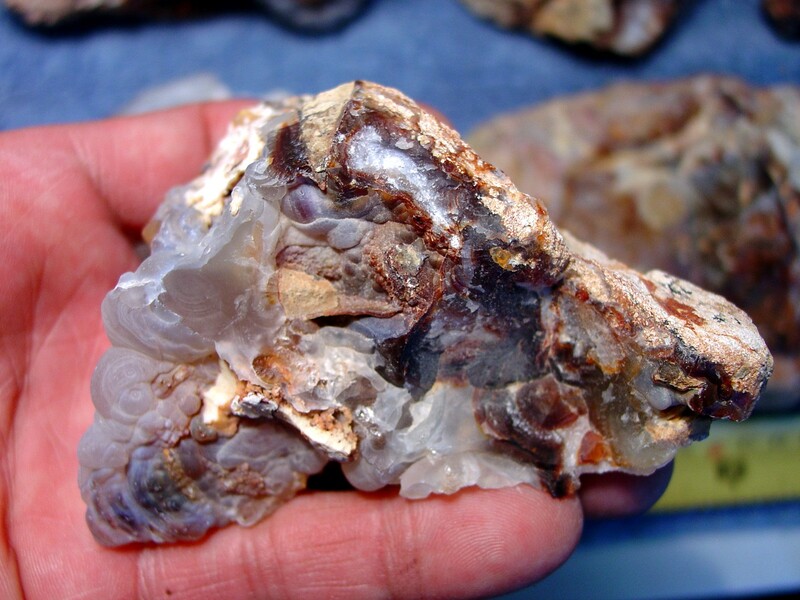 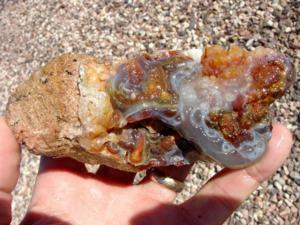 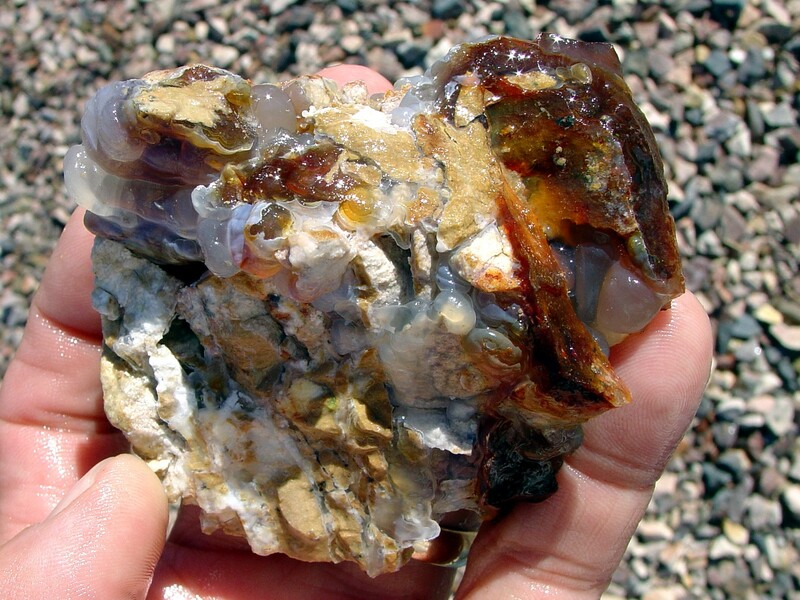 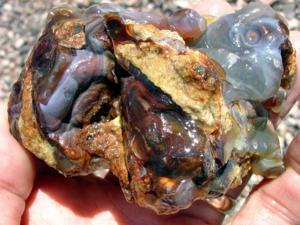 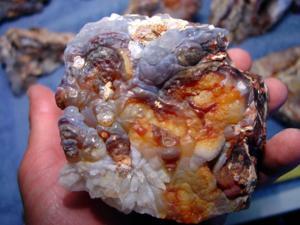 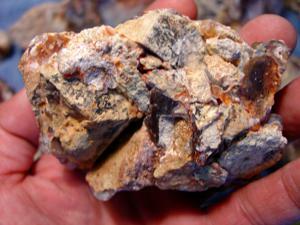 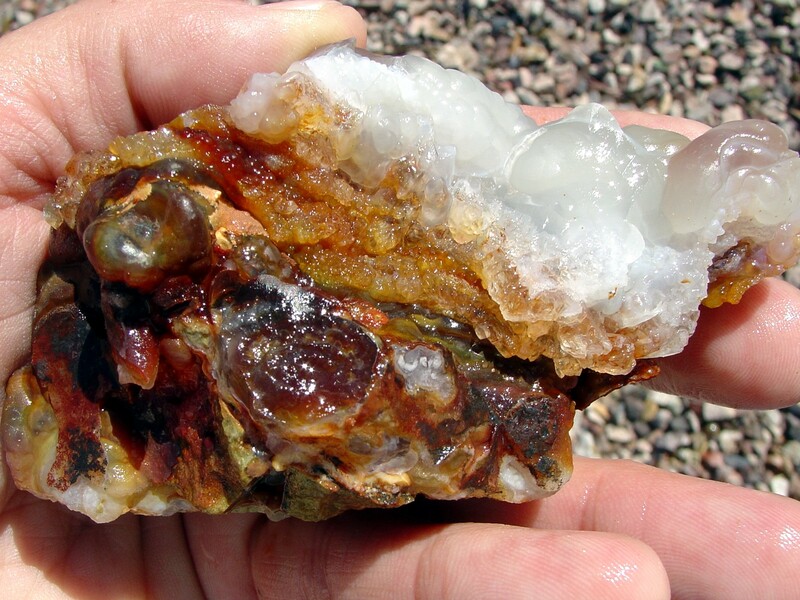 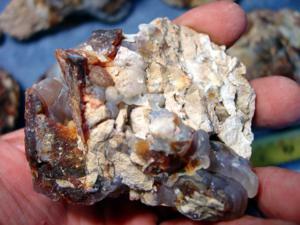 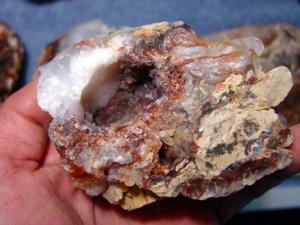 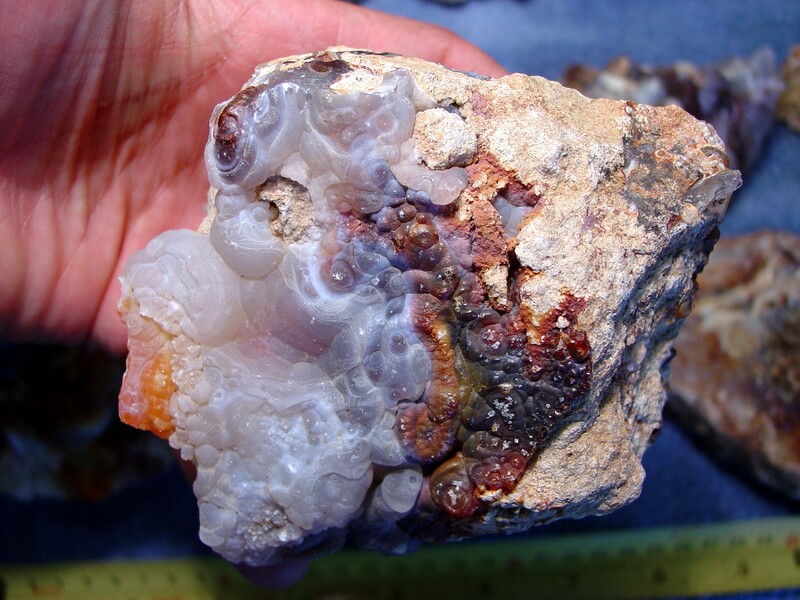 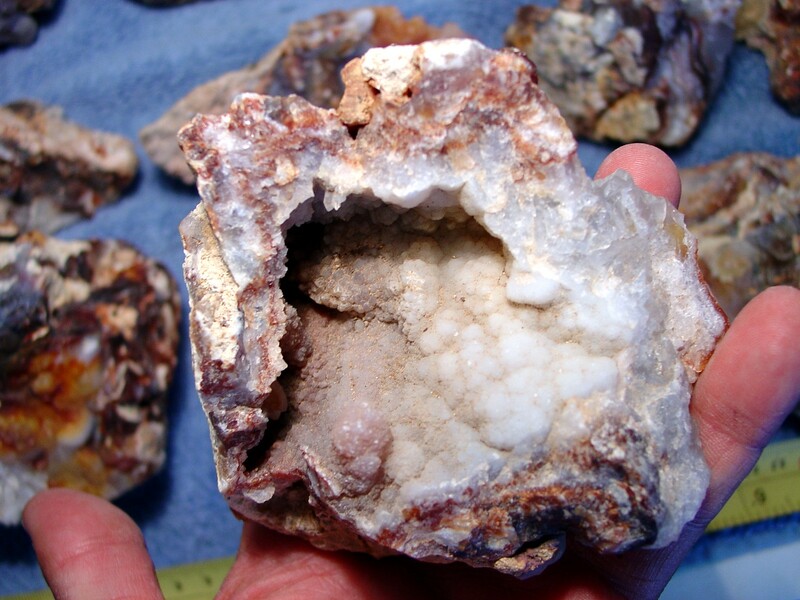 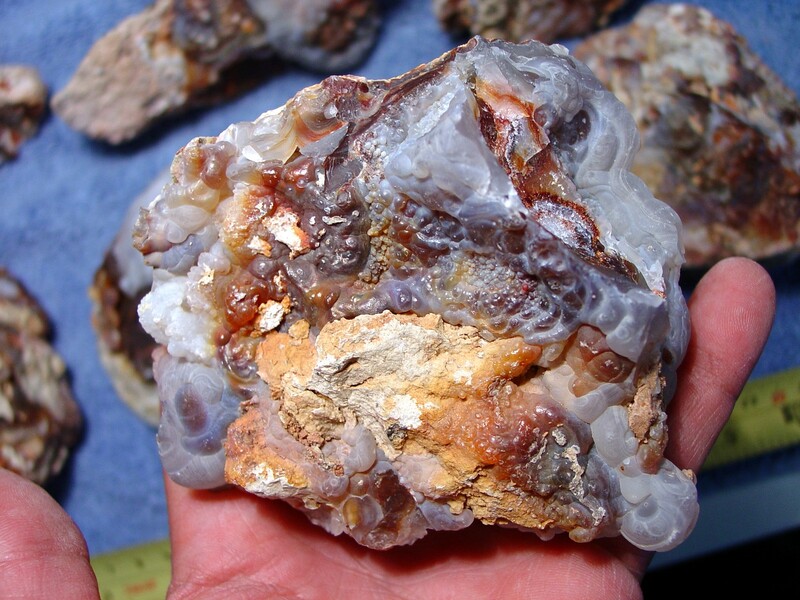 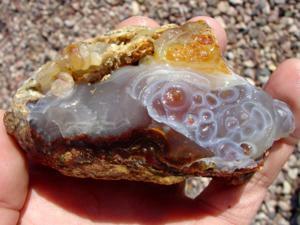 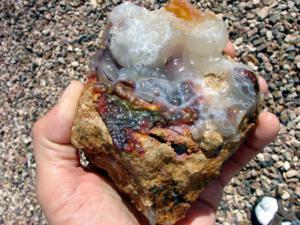 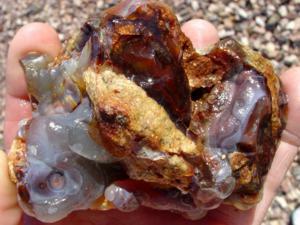 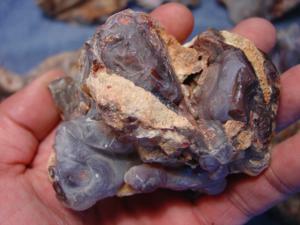 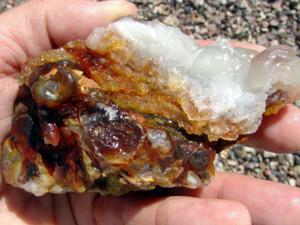 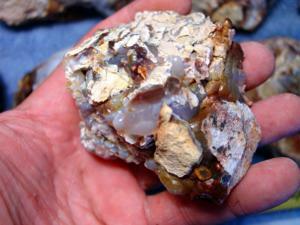 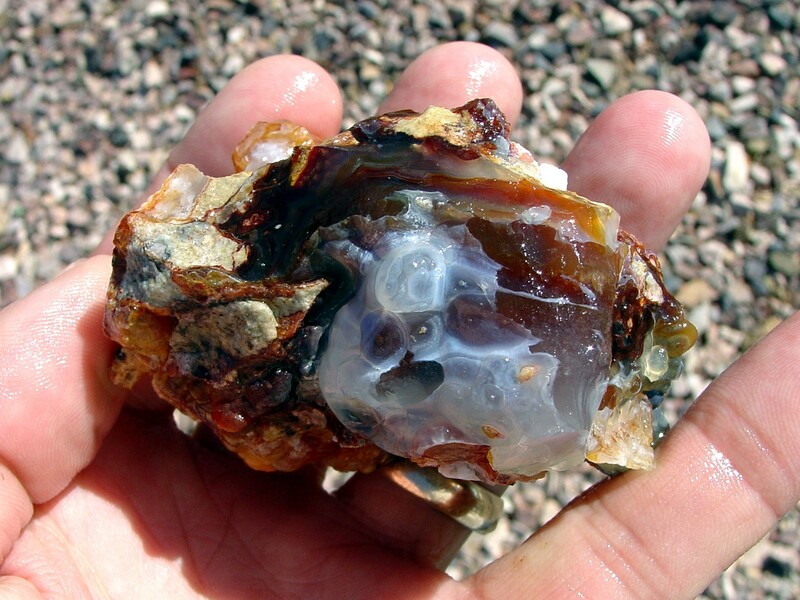 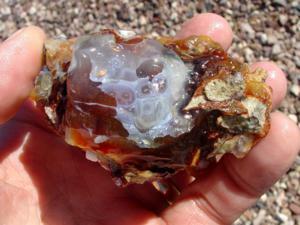 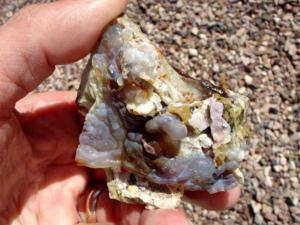 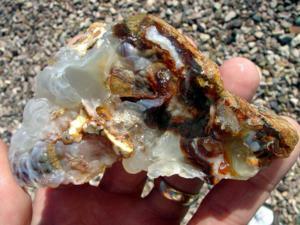 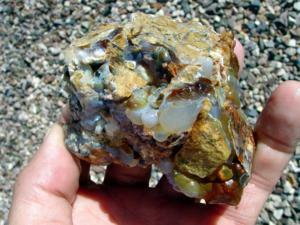 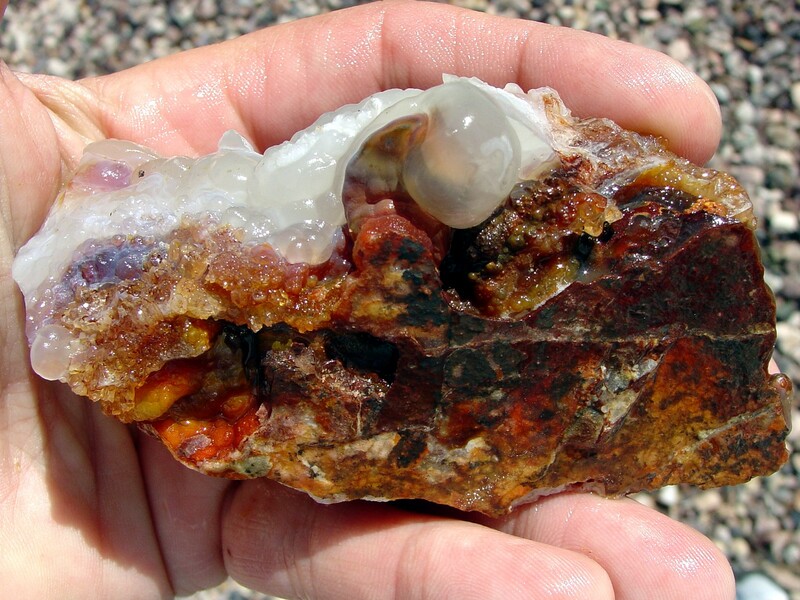 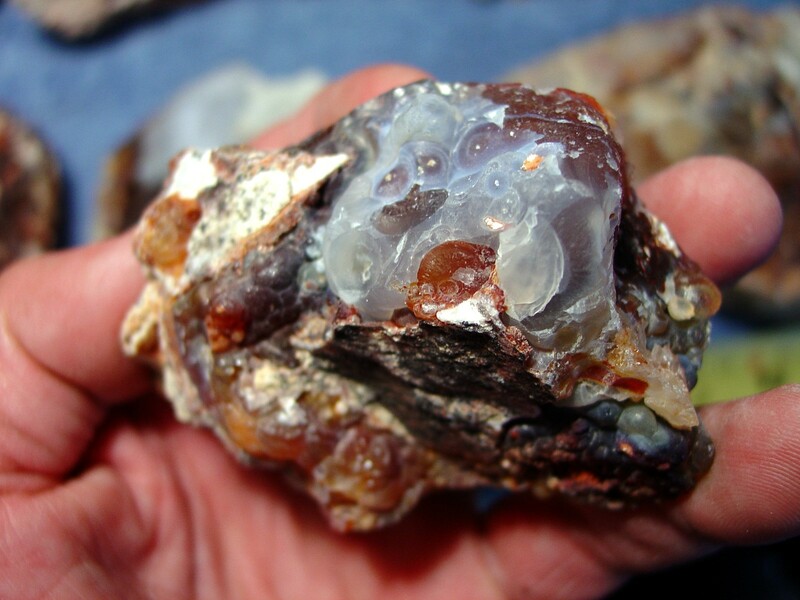 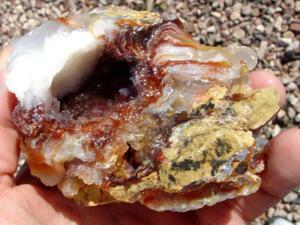 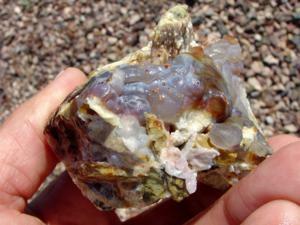 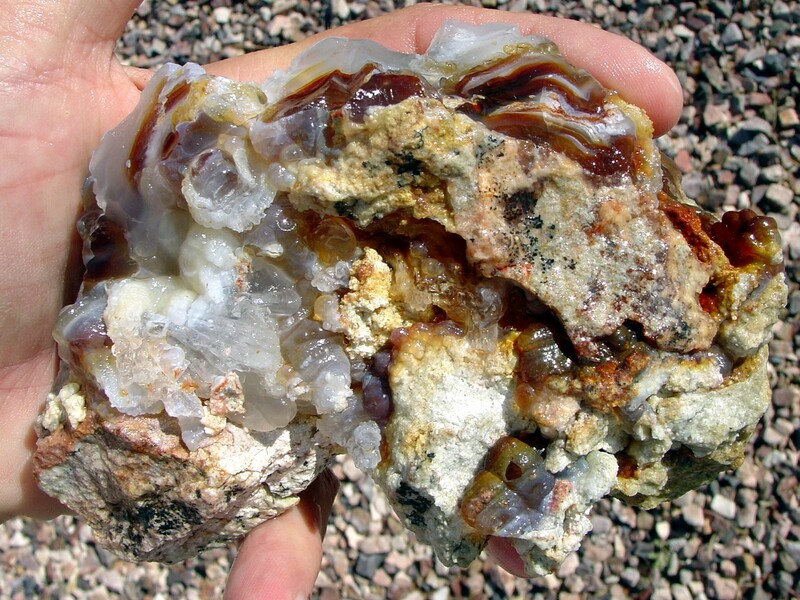 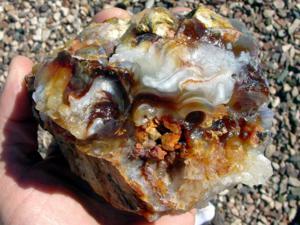 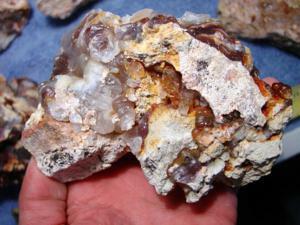 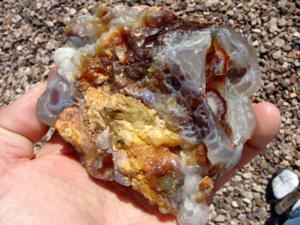 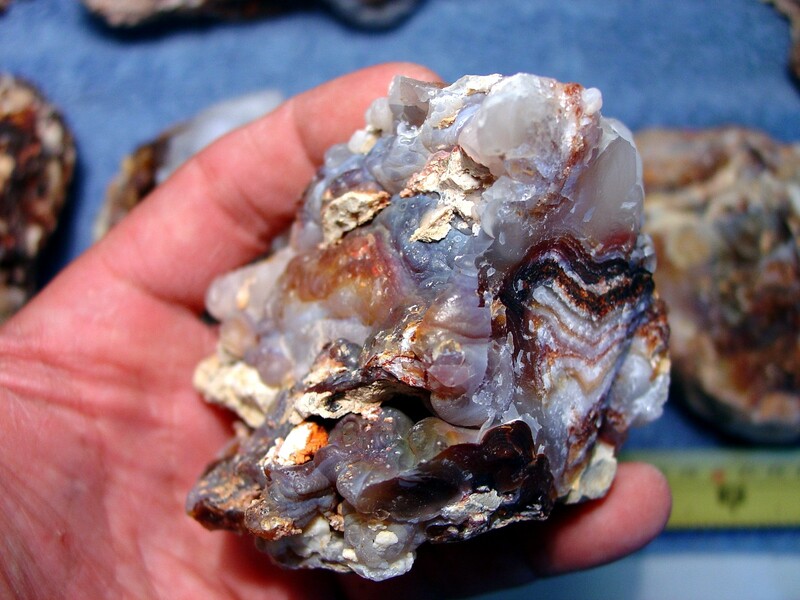 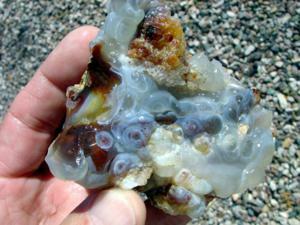 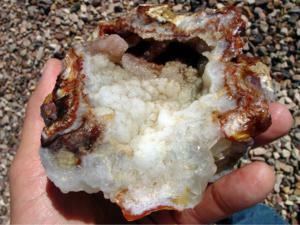 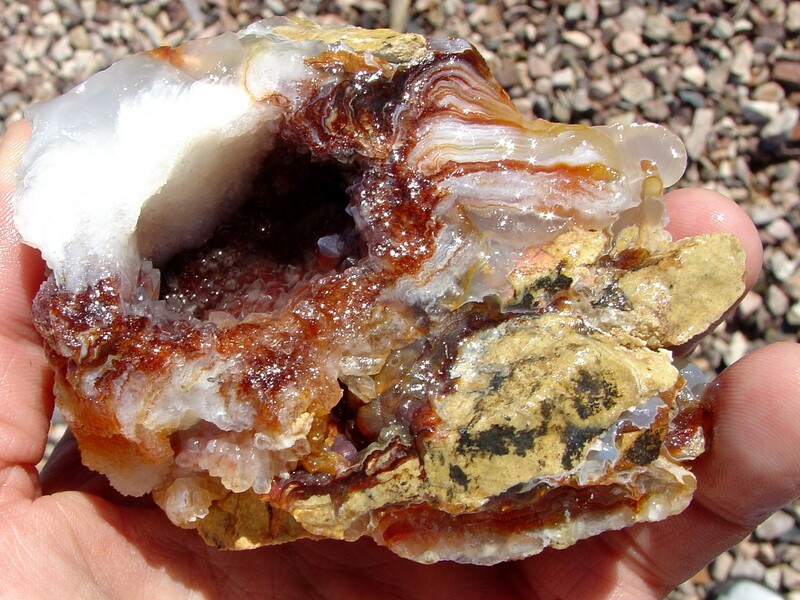 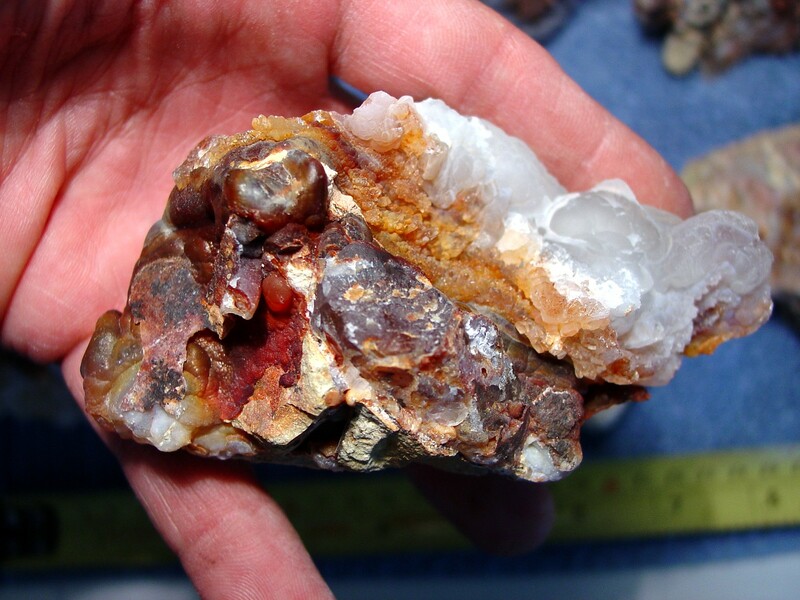 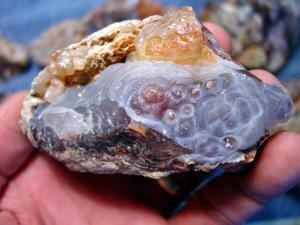 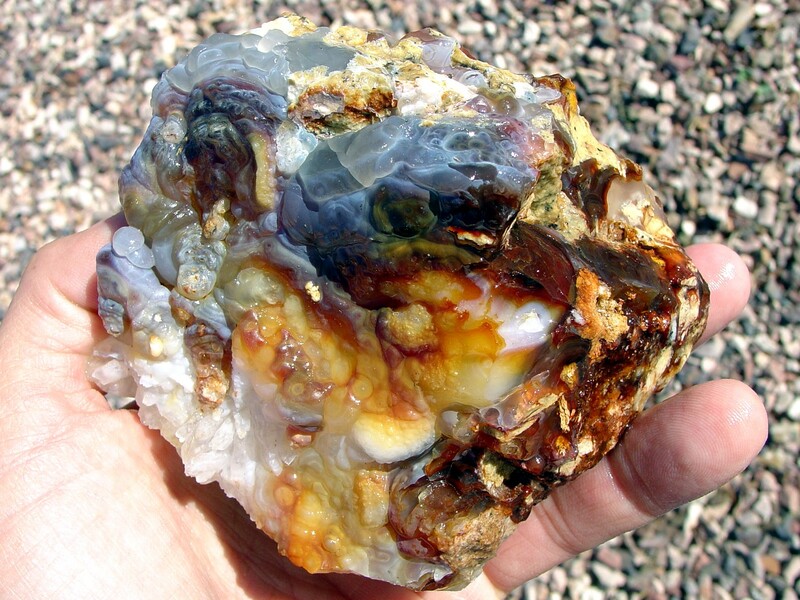 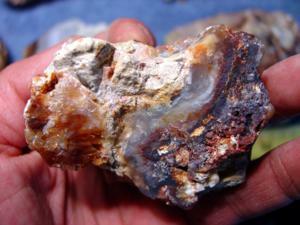 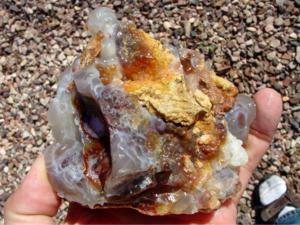 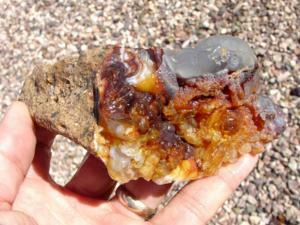 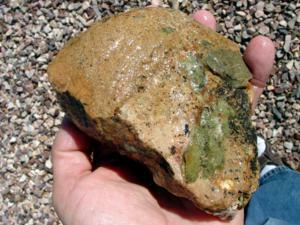 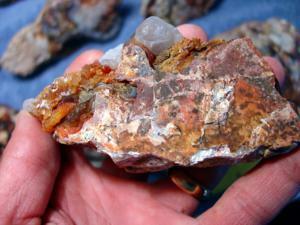 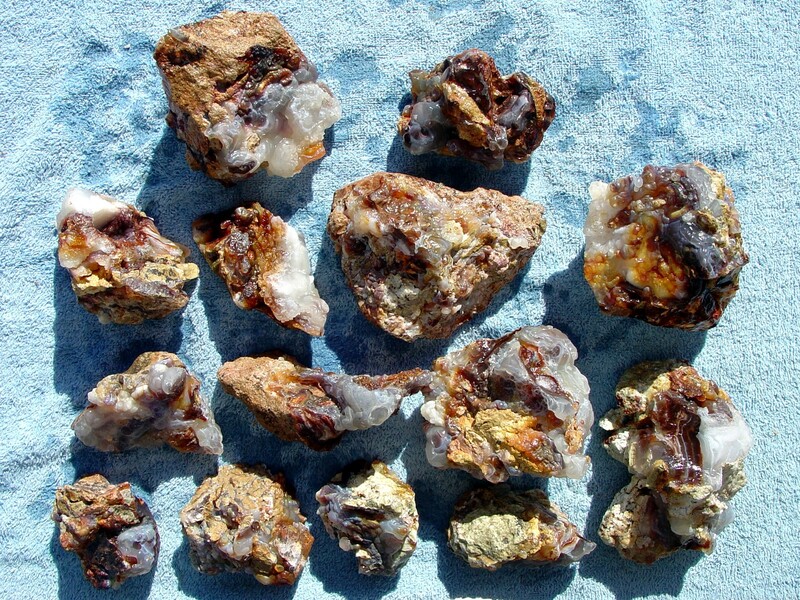 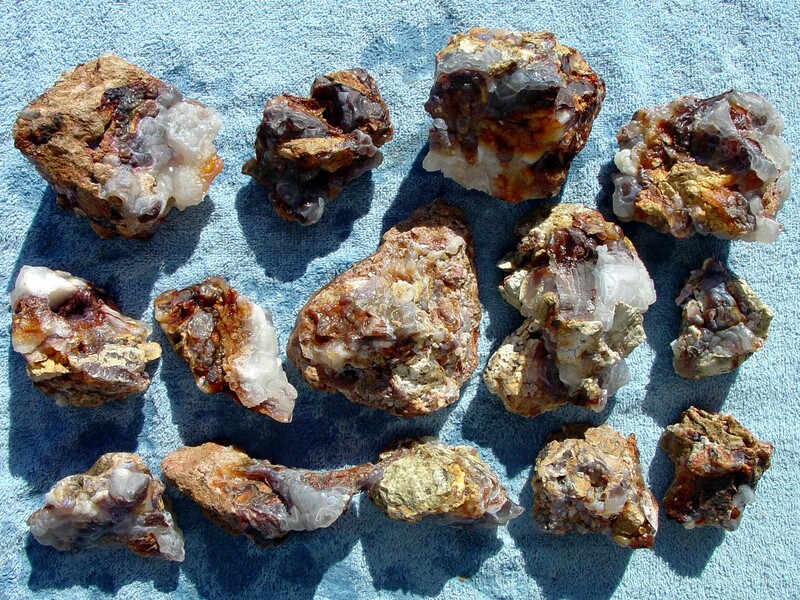 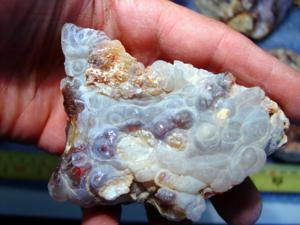 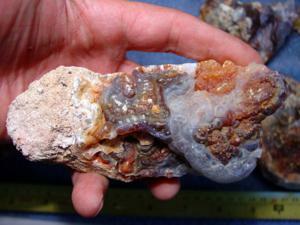 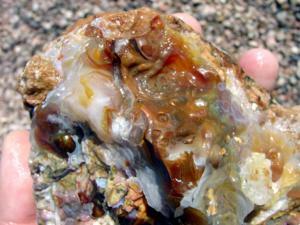 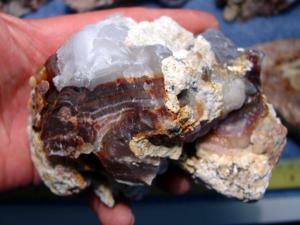 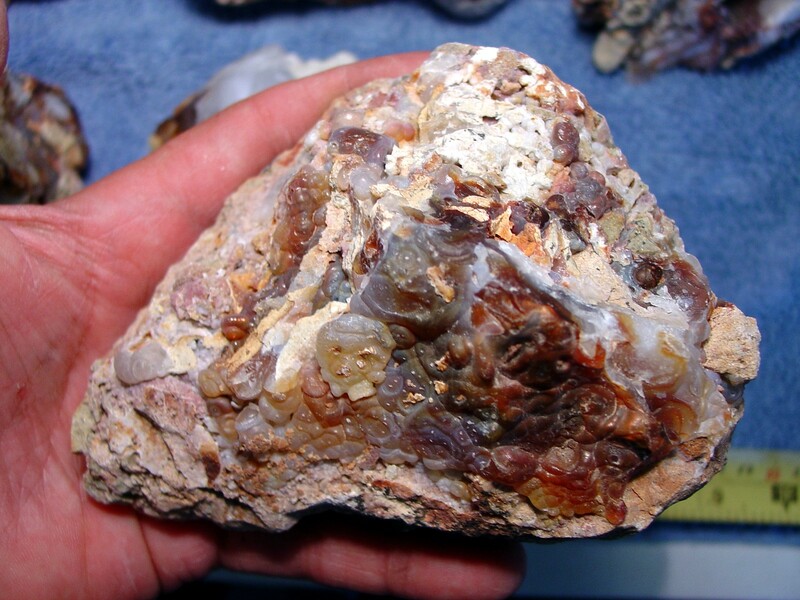 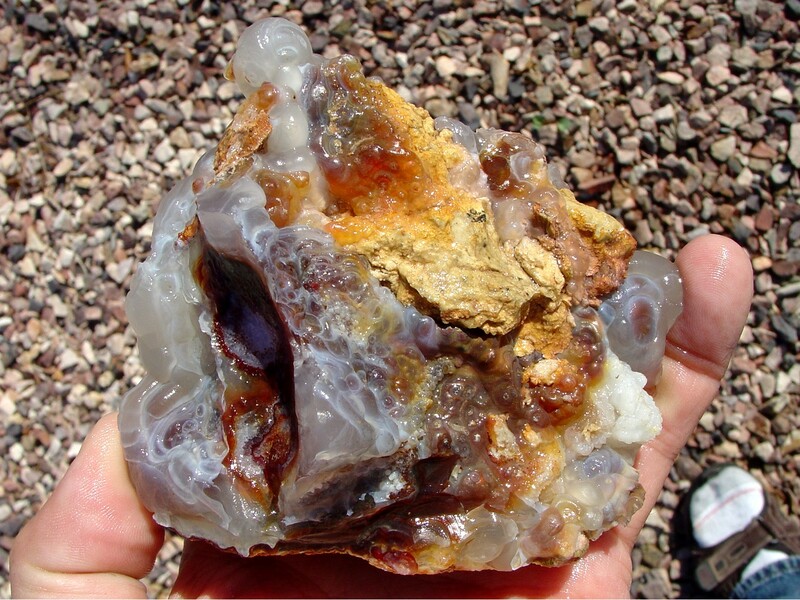 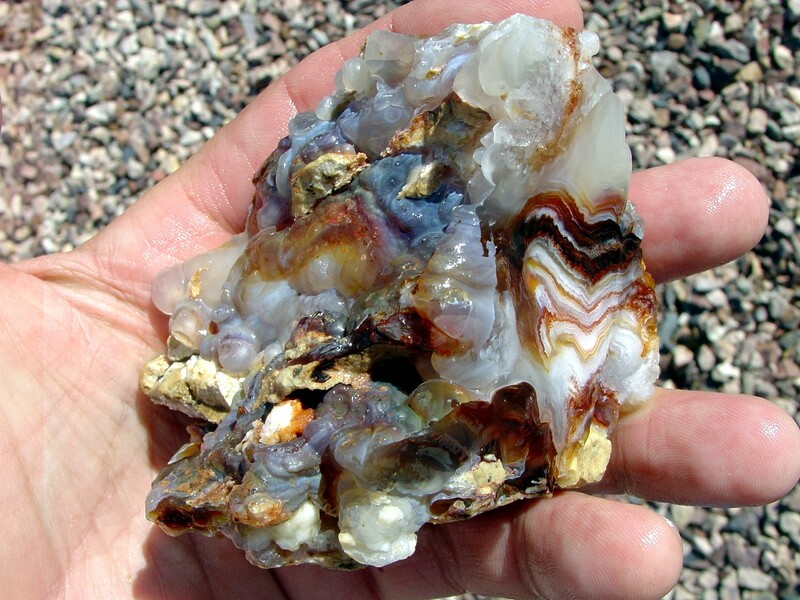 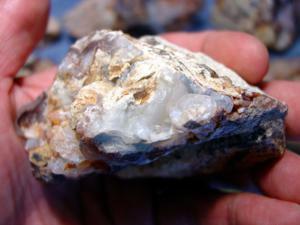 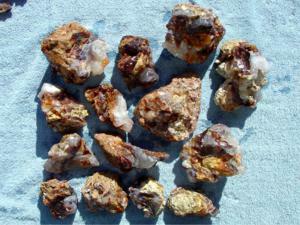 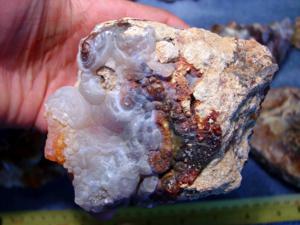 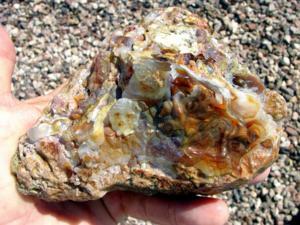 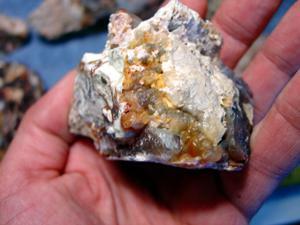 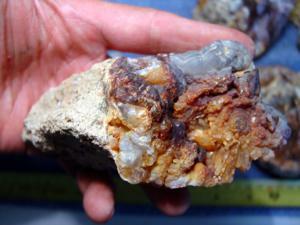 10 pounds Slaughter Mountain Arizona Fire Agate Gemstone Rough. 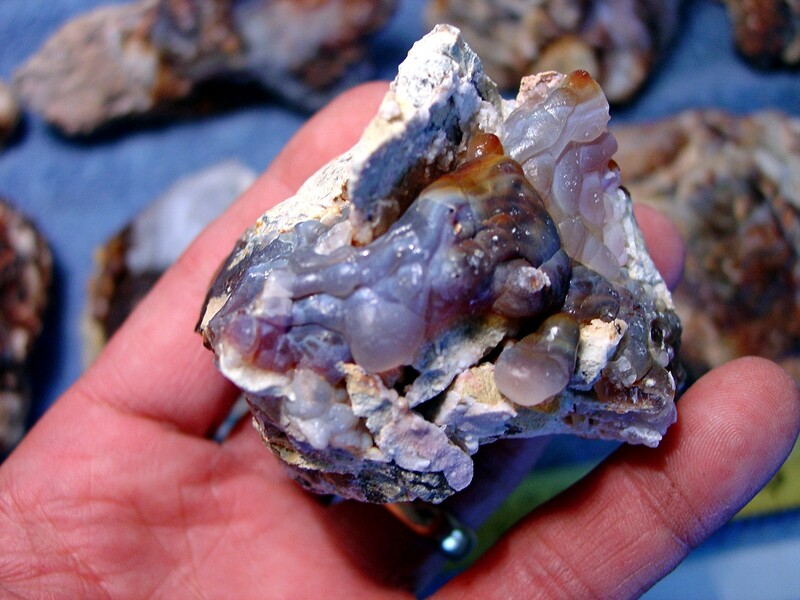 This group should produce some very nice larger sized fire agate gemstones and is recommended for an experienced fire agate gemstone carver. 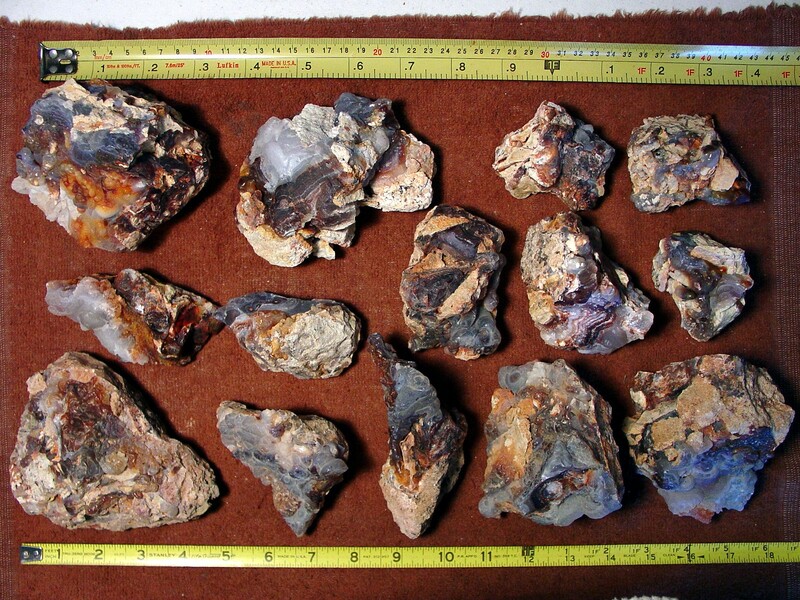 There are 14 pieces in this parcel which range in size from 2-3/4 inches to 5 inches (7 to 12.5 cm). Photos shown are of the exact pieces that you will receive with pictures taken outdoors in sunlight and indoors under lights while the material was both wet and dry. 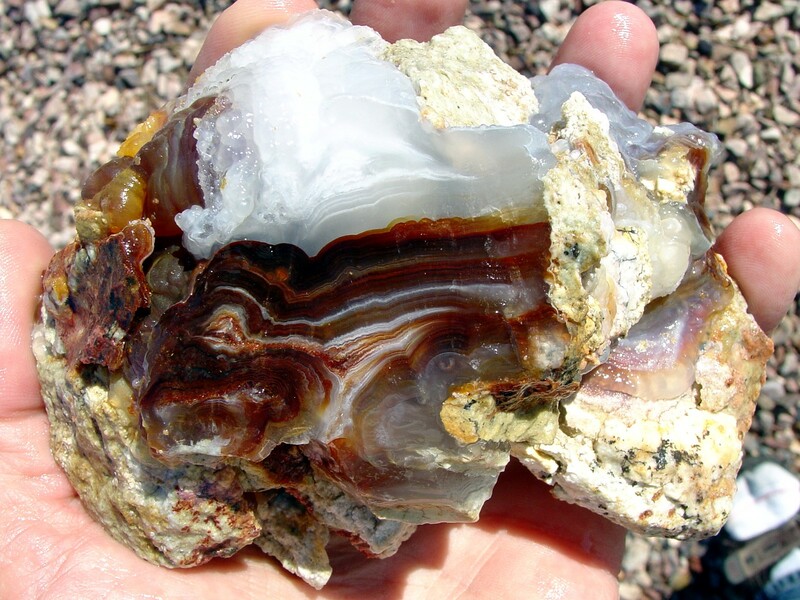 This gemstone rough was mined from Slaughter Mountain, Arizona, which is known for some of the best fire agates in the world, with intense color variations from bright reds and oranges to intense greens, purples and blues.